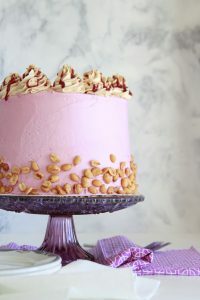 This Double Frosted Peanut Butter Jelly Cake needs little explanation. 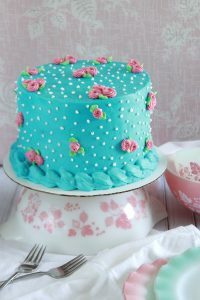 Raspberry cake. 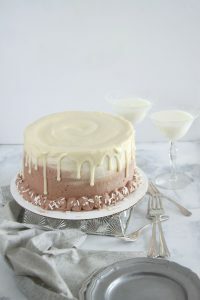 Peanut butter Swiss meringue butter cream. 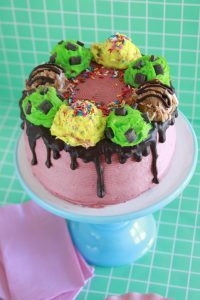 Raspberry Swiss meringue buttercream. Salted peanuts. Jelly. 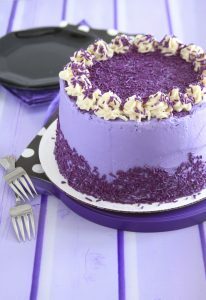 What more is there to say?The cake is a perfect balance of sweet, salty, tangy, and nutty! 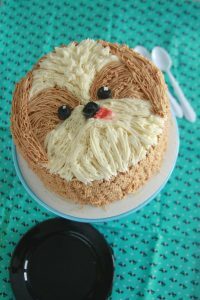 This Chocolate Seduction Cake lures you in with every component! 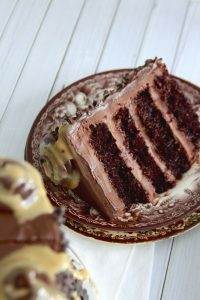 A moist cake with a chocolate whipped and fudge frostings—it tastes like an intense chocolate truffle! 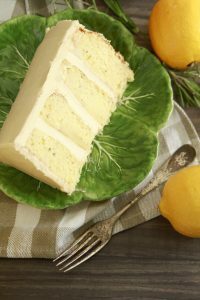 This Lemon Rosemary Cake will perk your spirits up with the reviving flavors of lemon, rosemary, and buckwheat honey! 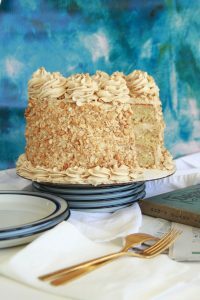 This Buffalo Peanut Stick Cake recreates The City of Light’s iconic doughnut! 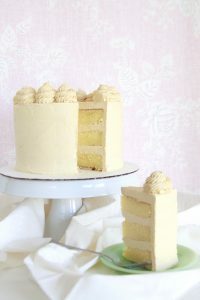 A moist springy yellow cake pairs perfectly with a buttercream that’s lightly flavored with honey and peanut butter. Finally it’s all encrusted in a hefty coating of honey roasted peanuts!